The recommendations also outline how those councillors should represent 98 one-councillor divisions across the council. 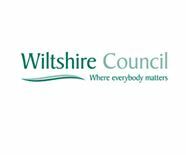 In August 2018 the commission said it was ‘minded to’ propose that Wiltshire should keep its current number of councillors. The full recommendations and detailed interactive maps are available on the commission’s website at consultation.lgbce.org.uk and www.lgbce.org.uk. Hard copies of the commission’s report and maps will also be available to view upon request at County Hall, Trowbridge. Richard Clewer, the chairman of Wiltshire Council’s Electoral Review Committee, said: “ I’d encourage people to get involved in this consultation, as the final outcome will have an impact on communities up and down the county.